Take a cheap chip. And clock the living hell out of it. This, friends, has long been the path to great PC performance for the pathologically penniless. Enter, therefore, the Intel core i3 2100. Like it or lump it, Intel has by far the best CPU architectures today and the feisty little Intel core i3 2100 is part of its latest generation of chips, known as Sandy Bridge. That makes it a cutting-edge 32mm number-crunching machine with by far the best per-core PC performance the world has ever seen. It also has support for Intel's latest x86 instruction extensions, up to and including SSE4.2 and AVX. It has Hyper-Threading, too, enabling it to process two threads per core. Best of all, perhaps, as Sandy Bridge chip, it has Intel's latest integrated HD Graphics core. And that means you get the Quick Sync video feature and with it hardware video encode acceleration. It also hums along at 3.1GHz, so it's no slouch in the clock-speed stakes, either. Put simply, no other PC processor is more advanced and offers more features. In fact, you could argue the HD Graphics core makes the Intel core i3 2100 more feature rich and in some ways more capable than Intel's new Core i7-3960X wonder chip. But the Intel core i3 2100 costs just $150. Cue much rejoicing and a beeline for the BIOS. May the overclocking begin. Or maybe not. Because it turns out the Intel core i3 2100 does lack quite a few things. And one of them is a crucial 'K' or 'X' suffix which indicates an Intel chip with a fully unlocked multiplier. Making matters worse, Intel hasn't even seen fit to bequeath the Intel core i3 2100 with Turbo mode. So, you don't have the option of knocking the thing up by one measly speed bin using the Turbo Multiplier. In fact, you really can't overclock the Intel core i3 2100 at all. 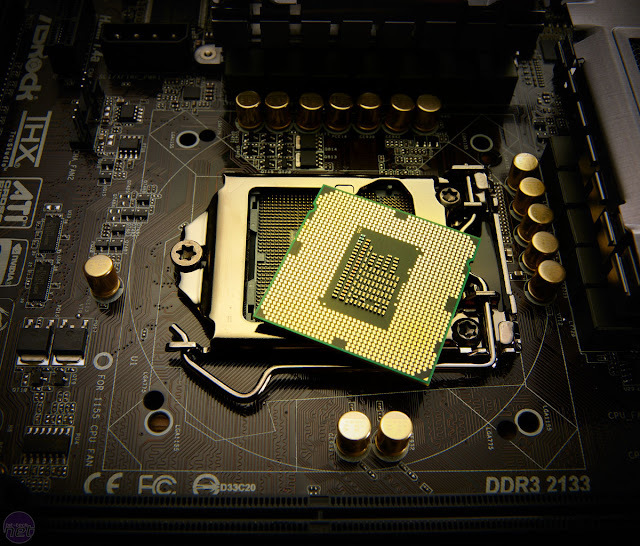 Like any Sandy Bridge processor, the uncore features in the CPU die, such as the PCI Express controller, are directly linked to the 100MHz base clock. So while you can adjust this base clock in the time honored fashion, your system will fall over before you've added more than a few MHz. This is how Intel rolls in the modern era. Frankly, we blame AMD for not producing competitive enough chips. Anyway, that's a shame because we've a feeling this little chip could easily clock up to well beyond 4GHz. At that speed, the fact that it only has two cores would be less critical. As our benchmarks show, even at stock clocks it's a nice little gaming processor. Cranked up to 4.5GHz, it would very probable be all the CPU you ever needed for fragging and other online and gaming frolics. It's actually not that terrible in multi-threaded software, either. AMD's closely priced, higher clocked and notionally quad-core FX 4100 is only slightly faster at video encoding and graphics rendering, for instance. With an unlocked multiplier, this thing could seriously rock. Without one, it's merely okay. 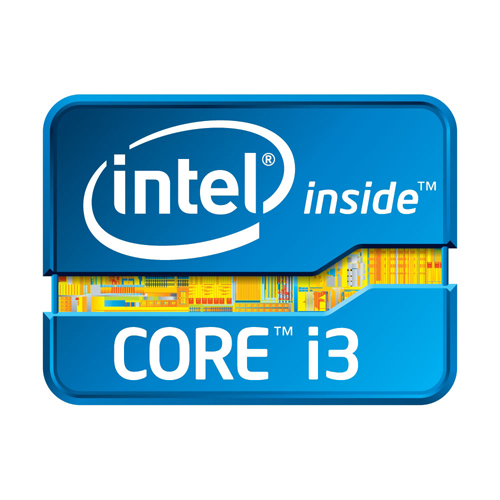 Intel core i3 2100 Price $150 approx.